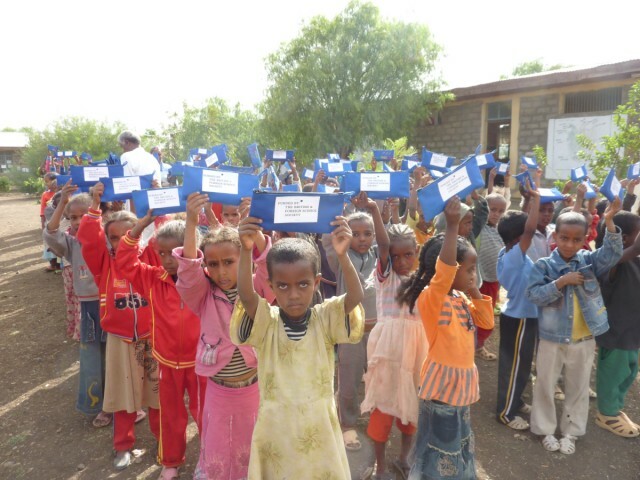 Project Pencil Case is a small educational charity working in Addis Ababa and Northern Ethiopia to support underprivileged students and schools by equipping them with basic educational materials. It was set up by British born Arabella Stewart who was raised in Ethiopia as a child. It is now run jointly with Mikele Goitom, an Ethiopian born and raised teacher. 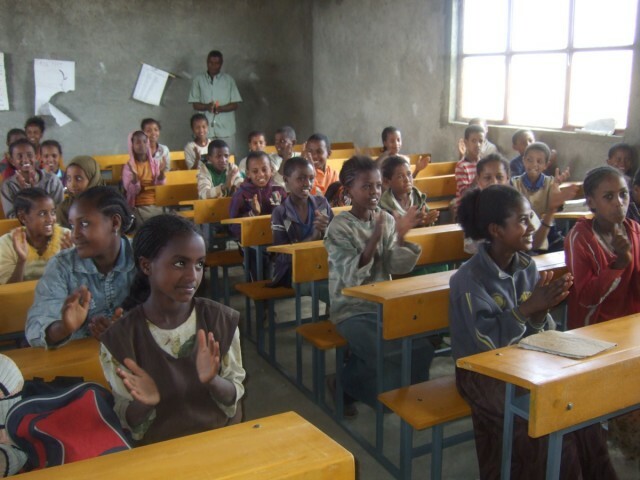 The charity works closely with Ethiopian education officials, local co-operatives and small businesses. 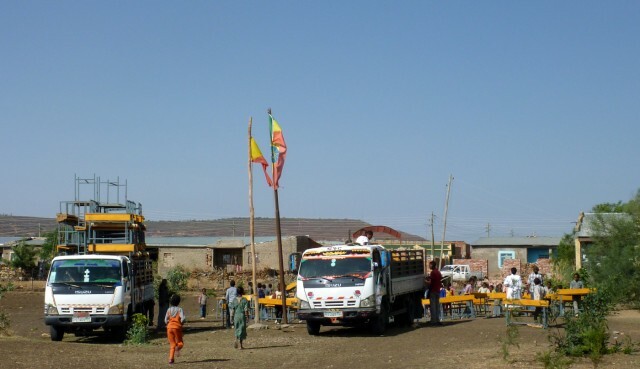 Local education officials in the historical northern town of Axum pointed Project Pencil Case towards Ezana Elementary School (named after an early Axumite Emperor) as being particularly in need of assistance. 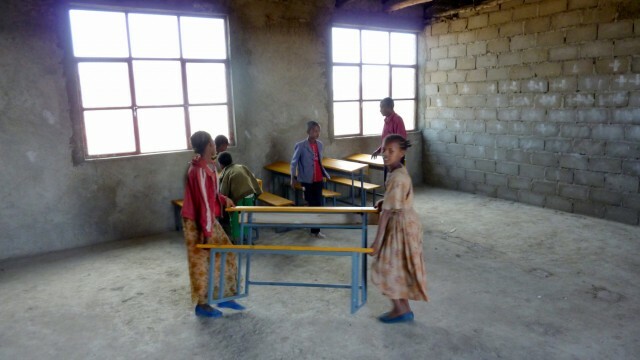 The grant from BFSS enabled Project Pencil Case to provide Ezana Elementary School with 14 Ezana primary school students gratefully accept BFSS pencil case donations, classroom furnishings, including blackboards, desks and chairs, as well as pencil cases for the students. Project Pencil Case is committed to supporting the local economy by sourcing all materials locally and using onsite suppliers for furnishings. The pencil cases were produced in Addis Ababa by a women’s cooperative and each one had Project Pencil Case’s embroidered logo on one side with a laminated label on the other with the words “Funded by the British & Foreign School Society”. 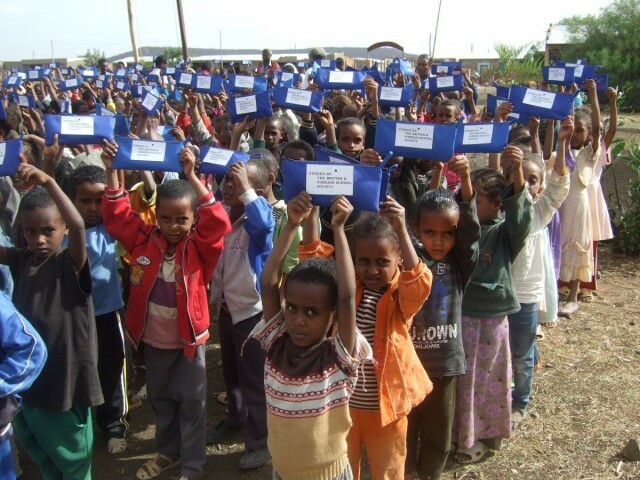 The pencil case contents – lead and coloured pencils, erasers, sharpeners, pens and rulers – were purchased in Addis Ababa and transported to Axum by Project Pencil Case, who then assembled each pencil case with the items ready for distribution to the students. 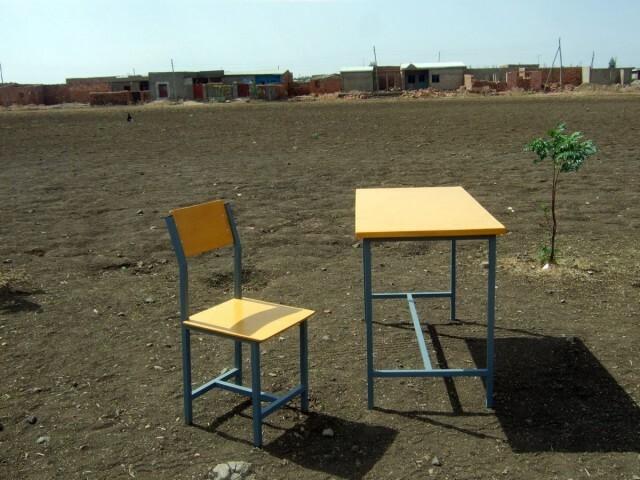 800 children benefited from the improved school facilities and the pencil cases.